I love helping people. I love feeling that I have contributed in a positive way to someone and their life. Helping a person find his or her “a-ha” moment or moments is truly, a very rewarding thing. I am not ashamed to admit that I am good at what I do. Being a Healer in multiple modalities and a Spiritual Coach is something that comes naturally to me, aided along the way with a big helping of life experiences of course! Having said all of that I have started to really cringe when one service I offer is requested, especially for group settings. The service I am speaking of is Tarot Readings. Tarot for me is a tool, something that I use to assist in reading for people. I am a natural Intuitive Reader. I mainly see symbols and images for people. A lot of the time the images and symbols I see are not cut and paste. I would love to see super clear-cut answers for people, but it just doesn’t work that way for me. It would be nice if it did, because I personally could seriously use some winning Lotto numbers for myself!! 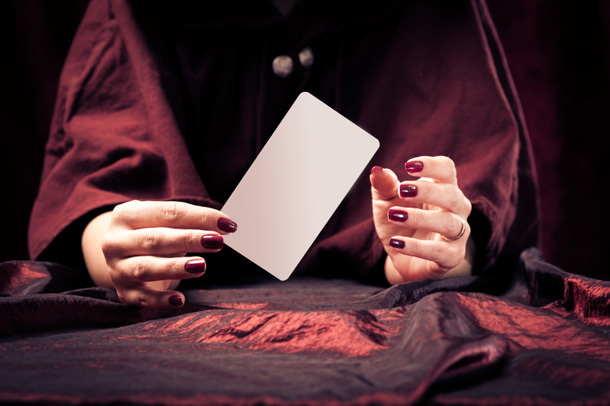 When people learn that I am an Intuitive and offer Tarot Readings, I am often immediately met with wide-eyed glee, and abrupt questions like “Can you give me the winning Lotto numbers?” or they demand exact answers to love life questions or work questions. Single persons will often ask me for the exact date and time they will meet someone or the exact description of that person. That is the trouble with Tarot. It is often seen as a quick fix system for life answers. Some people want to use it as an excuse to be lazy. What do I mean? Well If I could give them an exact answer, like “You will meet your soul mate in 2.5 years” then they don’t really have to try to meet anyone do they? If I told them “ You will be rich” then they would just sit back and expect money to come to them. Tarot is a tool to assist you that is all. Life isn’t about waiting for answers or your life to change for the better because someone tells you it will. YOU have to change your life if YOU want things to be different. You have to work on changing yourself, if personal growth is your goal. Instant answers and instant change is the stuff of fiction and movies. Fiction is fun. Oh my gosh, I love to read historical fiction, and boy do I love a good fantasy movie! I love the ones that solve mysteries or have magic in them. That is all they are though, just fantasy; a product of Hollywood, all sets and costumes and scripted lines. Real life doesn’t come with scripts, you have to write your own. You don’t get a magic wand or ancient coded text to help you. Your tools are your support network, guides and teachers whom who meet along the way, and allowing yourself to believe in your own power and knowledge that you have deep inside of you. Let Your Spirit Grow. It’s All You Have To Do! To learn more about Tarot, check out this youtube video of Jade being interviewed on radio K103.7. Jade Horner-Chinappi, CH, is a Certified Hypnotherapist with the National Guild of Hypnotists. She holds Certification in Psycho-Spiritual Tarot and Quantum Touch. She is also an EFT Practitioner, as well as a Certified Reiki Practitioner and Certified Spiritual Coach. She believes in offering affordable, alternative healing service working private sessions in person, over the phone as well as over Skype. Contact at 514-680-3278, [email protected] or www.letyourspiritgrow.com.